I am a fan of Froot Loops, I don't eat them much, except maybe when I travel, but I like them. They are tasty. 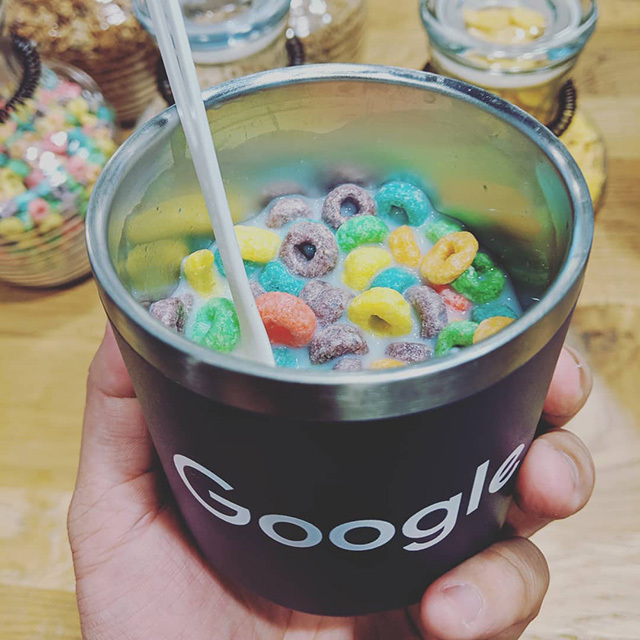 So when I saw Froot Loops in a Google bowl, I had to share it with you all. Can you blame me? The photo was posted on Instagram and taken at the GooglePlex by Walter Chen, a Google software engineer.